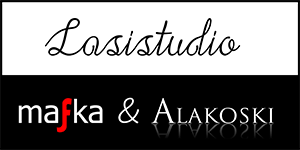 Glass studio Mafka&Alakoski welcomes you to the fascinating world of glass and invites you to experience glassblowing yourself with the guidance from the professionals. During the glass blowing experience you will hear about the design process and see how unique glass art and small-scale production are created. You get to design your own glass item and make it together with the professionals. Maybe a vase, a bowl or a pitcher? How about adding some color or bubbles? After cooling down the glass items are signed and participants will have their own designs for themselves. It is possible to bring own food & drinks or order servings from the glass studio in advance. Ideal group size for glassblowing a unique item 1-20. 100 euros organizing fee per group + 85 euros per person for glassblowing a unique item. 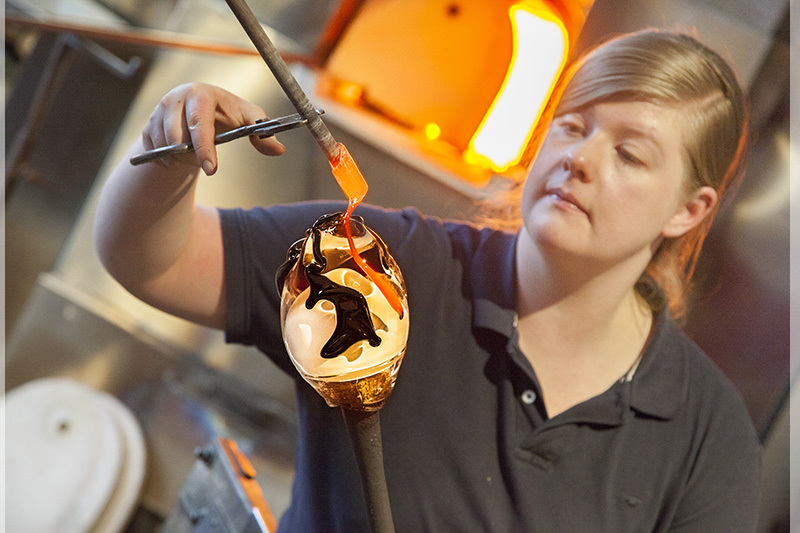 For larger groups (20+ persons) there is a option to try glassblowing by making a small decorative glass ball. With large groups it is recommended to for example divide the group to visit the Riihimäki glass museum and the glass studio Mafka&Alakoski taking turns. We are happy to help you organize the glassblowing experience day or evening, don’t hesitate to contact us! The glassblowing gift card is a perfect present for anyone interested in glass, wishing to experience something new or eager to make something unique! The gift card receiver gets to design own glass item and make it together with the glassblowing professionals. Maybe a vase, a bowl or a pitcher? How about adding some color or bubbles? After cooling down the glass item is signed and it will be a memory for a lifetime. Gift cards can be purchased from our gallery in Helsinki, glass studio in Riihimäki and from our web shop. The gift card comes with introduction and instructions how to book a time from the glass studio. The gift card is valid for 1 year. Services at the glass studio are available in Finnish, English and Russian. Birthday, bachelor party, evening with colleagues… Come and experience glassblowing at the glass studio in Riihimäki! Welcome to the fascinating world of glass!